A while ago I flew to Germany to speak over the weekend. I was a little disappointed when my flight home through London got delayed. It meant I would be two hours late and wouldn’t make it for dinner. While sitting in the airport, starting to feel sorry for myself I realized something: I probably wouldn’t have survived if I’d lived in pioneer days. In 1793, William Carey, the father of modern missions, left England on a voyage from London to India that took five months. Today we call that “long-term.” Five months! If the average mission trip is 6 weeks that would have put Carey about 400 yards off shore. In the time it takes us to get there, build a house and get home, Carey could still have been waving goodbye and could easily have gone back for his wife’s purse! Today, that same trip from London to India takes a mere 9 hours. This method of mobilization—the short-term mission trip—so prominent and so familiar in our own day, was simply not possible in the Student Volunteer Movement’s day (see the book In This Generation for more on the SVM). Crossing an ocean today is no big deal and this obviously has huge advantages in quickly exposing students to the world. For these reasons, short-term mission trips have become a primary method in mobilizing students to be a part of God’s global purposes. Over the past five decades the short-term missions movement has exploded with an estimated $2,000,000,000 now spent each year. In light of how widespread and how diverse the involved groups are, it’s impossible to finalize an exact number, but research approximates between 1 and 4 million short-term missionaries go out from North America each year. Are there ways to improve the impact of short-term missions? Absolutely. I think we need a shift in certain areas of short-term missions to better seize the incredible opportunity we have in sending students this summer. The next time you get a chance to talk to someone fresh off a short-term mission trip, ask them why they went. After a handful of people, you will realize the list of motivations is long: interesting locations, seeing another culture, learning a new language, stretching their faith, furthering God’s mission around the world, etc. There are as many motivators as there are personalities and interests. 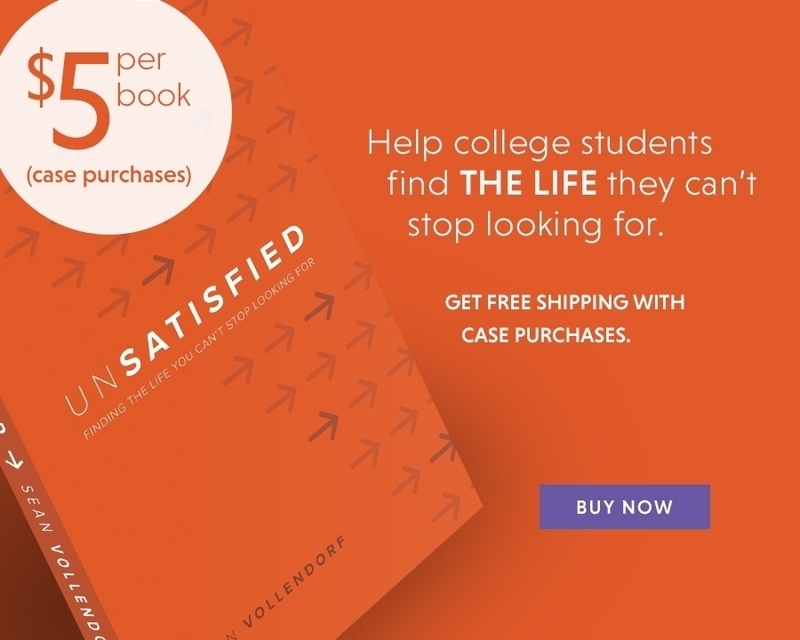 Brochures with college students riding camels across the Sahara Dessert trading goats with nomadic Muslims are eye-catching, depicting something most people never experience. I know of trips where students can bike the ancient Silk Road and share Christ in East Asia. Canoe excursions through the jungle to befriend remote tribesmen entice many young people, so this is the way they are advertised. The more extreme the trip sounds the more appealing it is to students. Over three-quarters of trip-goers report that the short-term experience altered their life in some way. Those who have been on a short-term trip understand the life-changing event that it can be. For some, it means deploying a quick response team for tsunami victims. For others it may mean passing out tracts in a Guatemalan village. Whatever the case may be, helping others is an enormous incentive for participating in short-term trips. Some are ready to sign on for a cause, especially one that brings aid to another in need. Their eagerness to meet practical needs is a wonderful, Christ-like desire. It is in no way opposed to the aims of short-term missions and should be channeled in a missional direction. For some students, God’s desire to reach the nations, as seen in His Word from beginning to end, is all they need. God said it; that settles it. They do it out of love and obedience to Jesus. These all appeal to certain personality traits of this generation. And God can use them all (and even lesser ones) to work in them and through them. Remember when you were a student? If you are like me, there are always mixed motivations in our choices. This is a generation of risk takers. If we can attach some purpose and meaning to those risks, it’s almost irresistible. Don’t be afraid to ask students about their motivations and seek to shift them to a more Biblical perspective when needed. Much of the time it’s needed before they ever step on a plane. I know a guy who took a short-term trip to Senegal. He is now a high school math teacher in Seattle. Though he never went back overseas after that summer trip, he is different. He prays for the world and if he hears any news about that part of Africa he listens a little more closely. If he meets someone from anywhere in West Africa, he strikes up a conversation. Students who are involved in short-term missions are impacted and benefited by the experience. By giving them a look into the roles and responsibilities involved in short-term missions, students are encouraged to consider long-term missions. A four-year commitment to East Asia is more easily made under the persuasion of first-hand experience. A short-term mission trip is the door through which most long-termers need to walk. No other habit of the World Christian lifestyle (giving, reaching internationals, praying or mobilizing) can provide a substitute for going. How many unreached people groups are there in the world? Where is the need the greatest? How could I use my degree in missions? Most Christians don’t know. We cannot obey or respond to what we do not know. Short-term trips expose students to the many tremendous needs that are so pressing and urgent to fulfill the Great Commission. The harvest is plentiful but many times the workers are huddled together unaware of the incredible roles they could play in it. Action Item: Share about the need of the church, the world, the lost, and the peoples you are going to visit. Pray and discuss these needs and how they might help address some of them. Another benefit for students today, who have access to all the latest technology, is to experience the short-term missions that provide a healthy dose of reality. They see their wealth, freedoms, and other blessings against the backdrop of the rest of the world. Action items: Prepare them to deal with evil, injustice, and the pain of a broken world in a Biblical way. Process their experience as they go through it. Resources: When Helping Hurts by Steve Corbett and Brian Fikkert or Toxic Charity by Robert Lupton. These both provide a good perspective on poverty, its connection to spirituality, and how best to address it. Much of the time we hurt the very ones we came to help. Short-term mission trips provide that needed incentive for students to live differently. Many come back altered by a newfound global paradigm. They desire all the more to reduce their debt, connect to missions locally, and fervently pursue the spiritual disciplines. Action Item: Challenge them on this. Lastly, the short-term trip can generate incredible momentum for the student’s ministry back on campus. Most likely there will be new understanding of reaching out to internationals, a fresh zeal for recruiting others to go, and a renewed energy for prayer and evangelism. Action Items: Make sure they have lots of opportunities to share their faith, lead in ministry, and step out of their comfort zone. Mission trips are also a great time to give them some highly focused ministry training. What if we started off designing our trips with these outcomes in mind? What if we worked with our host teams overseas not only to further their mission, but also to cultivate these goals? One of the greatest contributors to the life change that occurs through short-term trips takes place in intentional debriefing. In order to fully capitalize on this, we need to proactively prepare short-termers to live more effectively back home. Amazingly, even when a group experiences a terrible trip, good follow-up has the potential to overcome any unmet expectations and send the group home with a vision to mobilize others. Sarah took a short-term trip to Uzbekistan. Not only was she on a terrible team, but it also seemed like everything went wrong all summer! She had an emotional breakdown in the airport trying to get out of the country. Bottom line, she was miserable the entire summer. But she is actually back overseas long-term. Her debriefing helped her understand and appropriate the big picture of her short-term trip. This puts the trip in perspective as one in a myriad of experiences that God is using to redeem both the individual and the people of the world, instead of just a box to be checked off in one’s spiritual pilgrimage. The student also needs to be informed of the many other methods that God uses in order to cultivate their vision for the world. Engaging them with this mentality during debriefing is often where life-style changes are cemented and where an event-mentality matures into long-term consistency and obedience. The short-term missions boom is indeed a phenomenon for better or for worse. With globalization expanding all around us, I would not expect this movement to be ending any time soon. The areas outlined above are key areas I think we can improve, and doing so will only strengthen the impact of short-term missions. 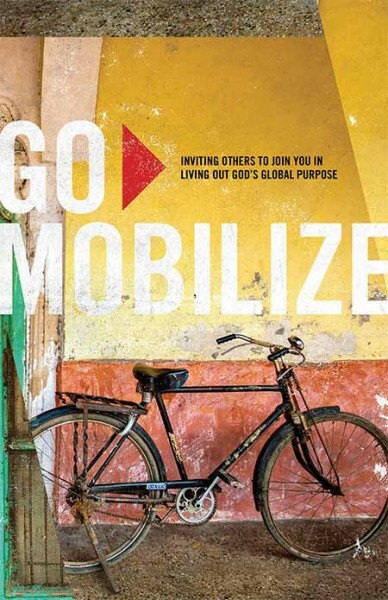 As a mobilizer, I can sincerely affirm the remarkable addition that short-term trips are to the World Christian movement. We are living in an unprecedented period of history. The Gospel could go out to every tongue, tribe, and nation in our lifetime! My desire is to see more people committing to long-term overseas work where the need is the greatest. It’s important and urgent. More laborers are an element of reaching the world that cannot be compromised. No other habit of the World Christian lifestyle (such as giving, reaching internationals, praying or mobilizing) can provide a substitute for going. That being said, the student who agrees to go short-term this summer and does not sense God’s calling to long-term work will still likely manifest a greater orientation to World Christianity for the rest of his or her life. It’s still a huge win in my mind. I say, let’s keep sending students short-term—as many as will go! And may God finish His good work in their hearts. Some will go back long-term, some will stay at home and live significantly different lives. Either way, the nations will be impacted and the kingdom will be furthered. What strategies have you used in the past to motivate your students to engage in short-term missions? Which ones worked well and what could you improve based on the tips in this article? What outcomes do you typically observe in your students as a result of your short-term mission effort? Which of the outcomes listed in this article might you strive for in the future? What efforts have you put into debriefing your previous short-term missions? Do you agree that this is an important element of the trip and the long-term effects? Why or why not?